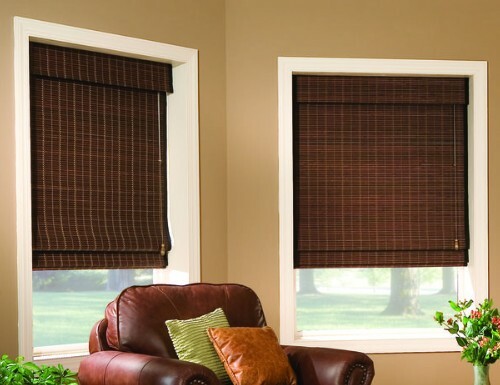 Color matched with our Signature 2" Wood Blinds makes our Signature Privacy Woven Wood Shades the perfect combination if you would like to use woven wooden blinds in the same room. Each woven wood shade has an additional matchstick woven between each bamboo slat for added privacy and appeal. W: 11" 12" 13" 14" 15" 16" 17" 18" 19" 20" 21" 22" 23" 24" 25" 26" 27" 28" 29" 30" 31" 32" 33" 34" 35" 36" 37" 38" 39" 40" 41" 42" 43" 44" 45" 46" 47" 48" 49" 50" 51" 52" 53" 54" 55" 56" 57" 58" 59" 60" 61" 62" 63" 64" 65" 66" 67" 68" 69" 70" 71" 72" 73" 74" 75" 76" 77" 78" 79" 80" 81" 82" 83" 84" 85" 86" 87" 88" 89" 90" 91" 92" 93" 94" 95" 96" 0/0"1/8"1/4"3/8"1/2"5/8"3/4"7/8" H: 12" 13" 14" 15" 16" 17" 18" 19" 20" 21" 22" 23" 24" 25" 26" 27" 28" 29" 30" 31" 32" 33" 34" 35" 36" 37" 38" 39" 40" 41" 42" 43" 44" 45" 46" 47" 48" 49" 50" 51" 52" 53" 54" 55" 56" 57" 58" 59" 60" 61" 62" 63" 64" 65" 66" 67" 68" 69" 70" 71" 72" 73" 74" 75" 76" 77" 78" 79" 80" 81" 82" 83" 84" 85" 86" 87" 88" 89" 90" 91" 92" 93" 94" 95" 96" 97" 98" 99" 100" 101" 102" 103" 104" 105" 106" 107" 108" 109" 110" 111" 112" 113" 114" 115" 116" 117" 118" 119" 120" 0/0"1/8"1/4"3/8"1/2"5/8"3/4"7/8"
Love the blinds I ordered. Love the blinds I ordered. Easy to install. Measured perfectly. Definitely ordering for my 3 other windows. Overall very pleased with these shades. Overall very pleased with these shades. My only complaint is that the middle bracket had to be cut to fit my standard window frame. These blinds are a quality product. Some of the wooden slates were split but overall nicely manufactured.